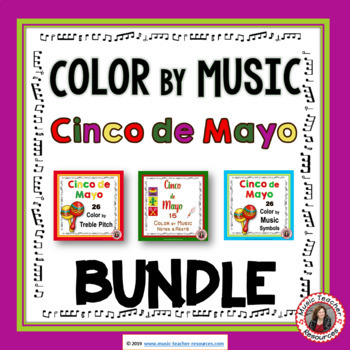 This $$ saving Color by Music BUNDLE contains all THREE Cinco de Mayo Color by Music Code resources. 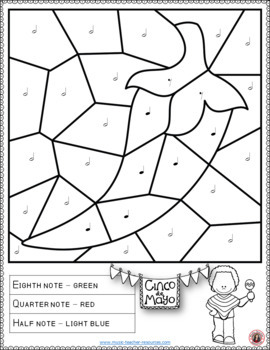 This collection of coloring sheets suit a range of grades and abilities. When completed these colorful pages make a beautiful display in your classroom! Please go to your My Purchases page (you may need to log in). Beside each purchase, you'll see a Provide Feedback button. Simply click it, and you will be taken to a page where you can give a quick rating and leave a short comment for the product. 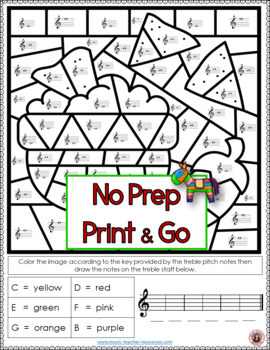 Published 2019 by MusicTeacherResources, ACT, Australia. Copyright © Kim Maloney. All rights reserved by the author. This product is to be used by the original downloader only. Copying for more than one teacher, classroom, department, school, or school system is prohibited. This product may not be distributed or displayed digitally for public view. Failure to comply is a copyright infringement and a violation of the Digital Millennium Copyright Act (DMCA). Clipart and elements found in this PDF are copyrighted and cannot be extracted and used outside of this file without permission or license. Intended for classroom and personal use ONLY.